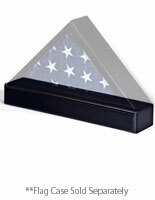 Frame your military or civil servants burial casket drape with this American-made 3’ x 5’ black flag display cases. Mount this military banner holder on the wall or place tabletop for easy presentation. 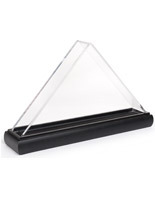 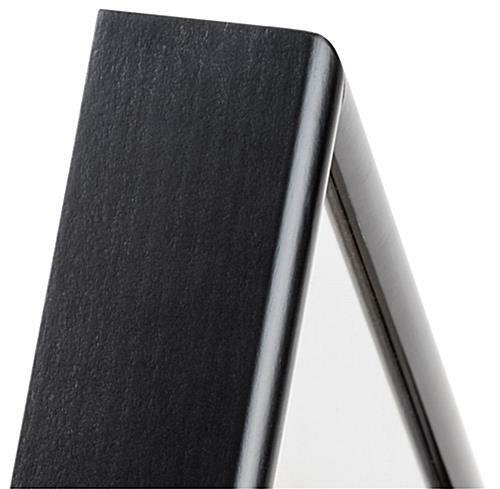 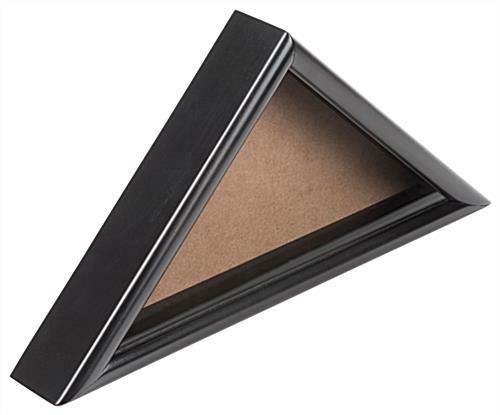 A removable triangular back makes it easy to load this heirloom quality black flag display case. 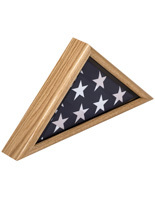 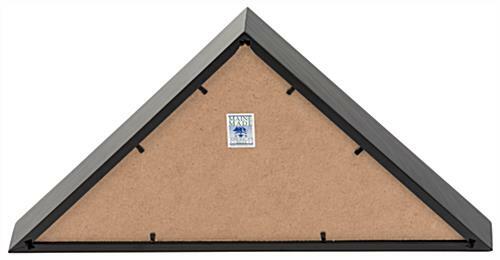 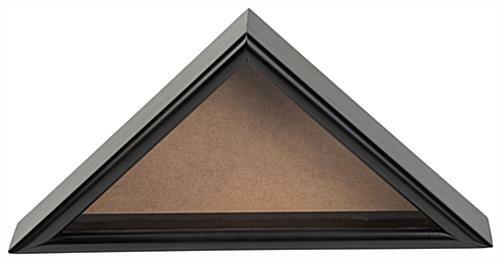 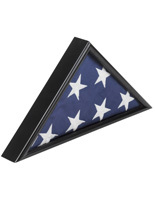 Solid wood construction and a glass front lens protect your military veteran’s burial ensign. 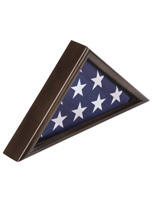 Each flag display case is made right here in the USA. 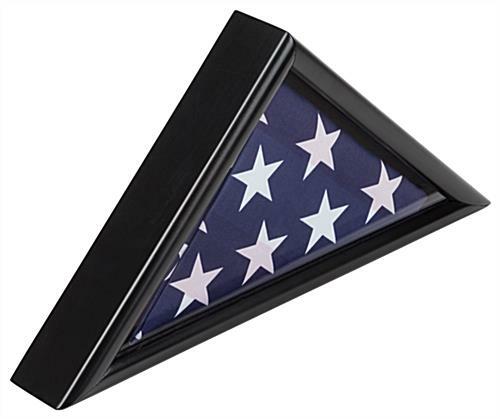 The glass front lens gives a crystal clear view of the military banner for everyone to see. 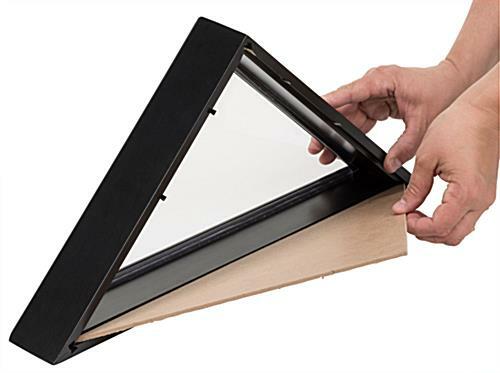 The quality of solid wood construction will last for generations. 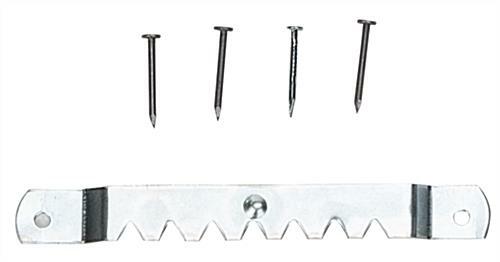 18.0" x 9.0" x 2.5"
15.8" x 7.8" x 1.8"